Flaunting a trendsetting silhouette, the Soletren oversized accent ottoman puts the contemporary in your contemporary home. 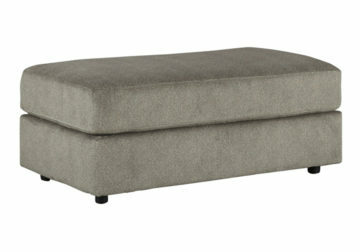 Surface space is ample, giving you elongated plushness for foot relaxation. Microfiber fabric satisfies your need for a piece that feels as good as it looks.